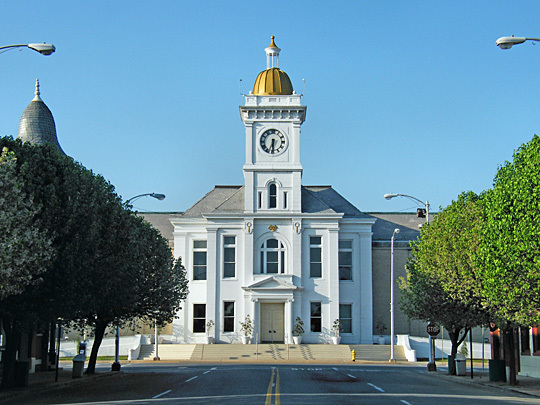 Photo: Jefferson County Arkansas Courthouse, Cameron Bartlett, photographer, 2011, en.wikipedia.org, accessed April, 2012. Jefferson County administrative offices are located at 101 West Barraque Street, Pine Bluff, AR 71601; phone: 870-541-5360. Created in 1829, the county was named for President Thomas Jefferson.